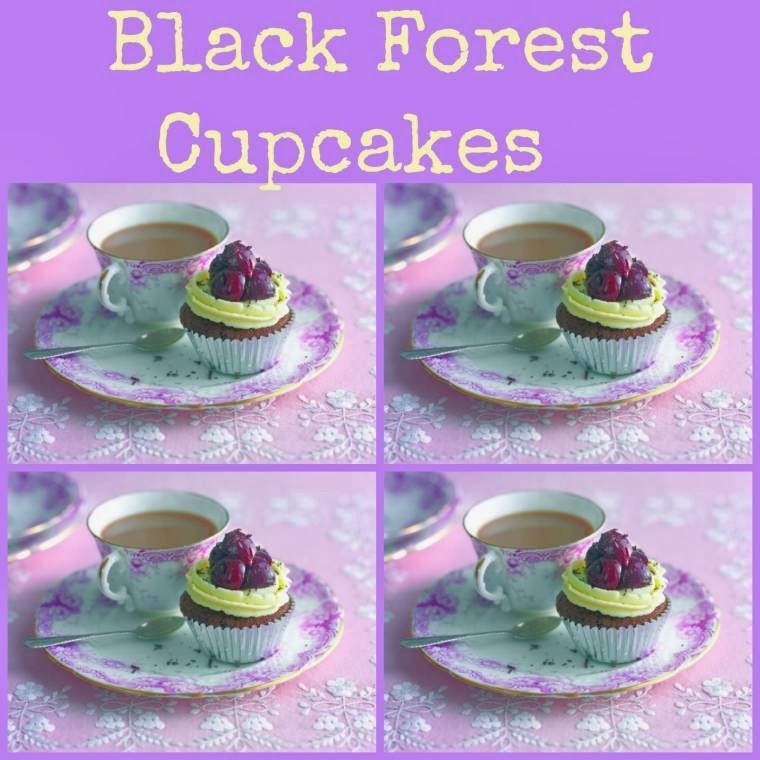 Black Forest Cupcakes: Posh 70’s Cakes. Black Forest Cupcakes anyone? Remember those towering chocolate layer cakes served in posh hotels back in the 70s, this simplified cup cake version is just as delicious but much easier. Separate 12 silver foil cake cases and arrange in the sections of a muffin tin. Add all the cake ingredients to a bowl and beat with a wooden spoon or an electric mixer until smooth. Divide spoonfuls between the foil cake cases, smooth the tops level then bake for about 15 minutes until well risen and the tops spring back when pressed with a fingertip. Transfer the cakes in their cases to a wire rack to cool completely. Meanwhile make the cherry topping by adding the cherries, sugar and 5 tablespoons of water to a saucepan, simmer gently for 5 minutes until the cherries begin to soften and the juices run. Mix the cornflour with the remaining tablespoon of water then stir into the cherries, increase the heat and cook, stirring until the sauce has thickened. Beat the butter with half the icing sugar until smooth then gradually beat in the remaining sugar, milk and the vanilla, beating until very soft and smooth. Skewer the top of the cakes and drizzle the kirsch over the top, if using. 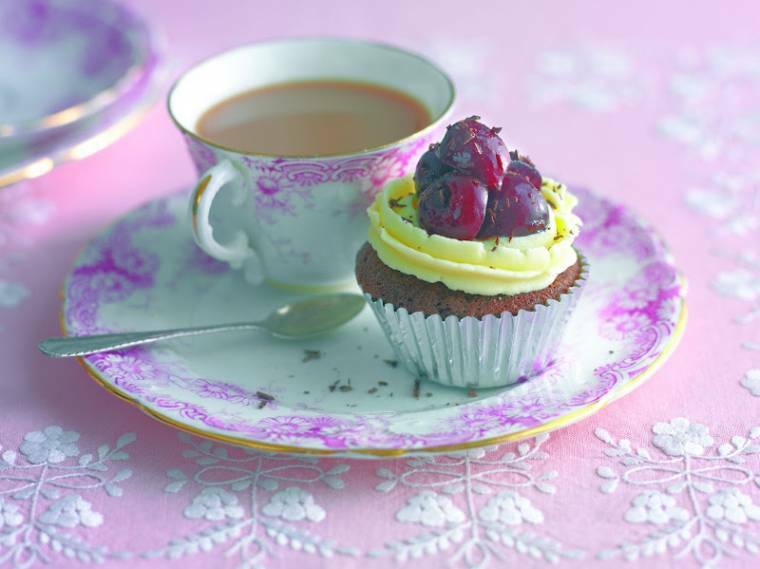 Pipe a ring of butter-cream around the edge of each cake then carefully spoon the cherry mixture into the centre and arrange on a serving plate. Chocolate Roulade With Boozy Blackberries. How To Make A Black Forest Cheesecake. How To Make A Black Forest Gateau Roulade. New York Style Open Grilled Sandwich..
"What I Wore To Lincoln : Creative Mondays Blog Hop…"
This cupcake looks yummy. Such a beautiful photo. They look scrumptious! Thanks for sharing the recipe. i like it. i am tatlı tarifleri.